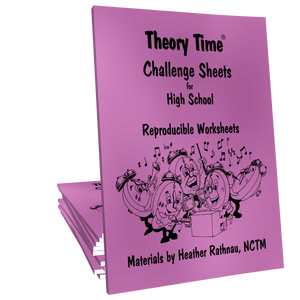 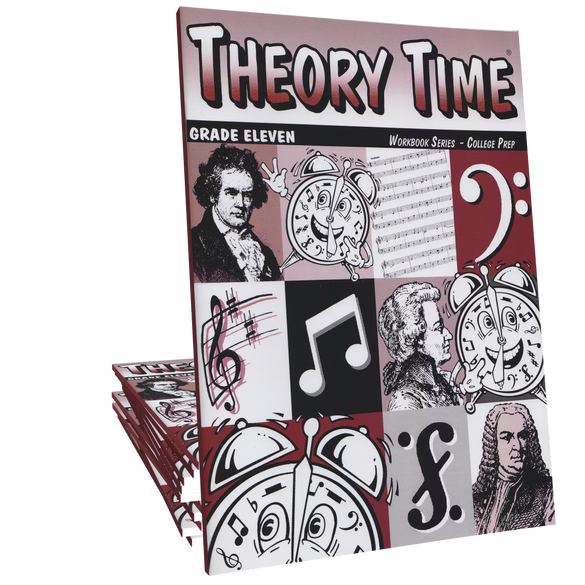 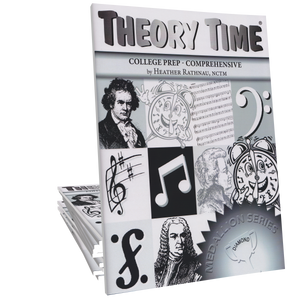 Theory Time Grade Eleven workbook is a college-prep comprehensive theory workbook. 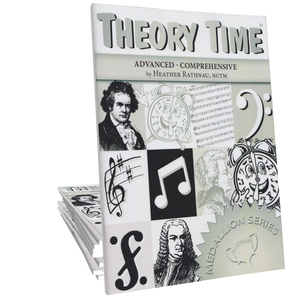 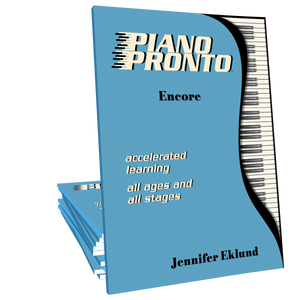 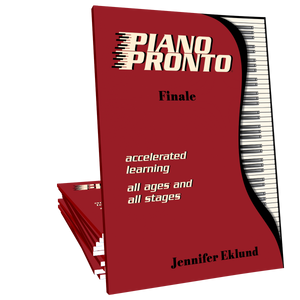 Concepts include: Rhythm drill, simple, compound & irregular meter, conducting patterns, major, minor, diminished & augmented intervals, triads, & inversions, chromatic & diatonic half steps, scale degree names, major/minor circle of 5ths, relative & parallel keys, major & minor scales, chromatic, whole tone & diatonic scales, 4-part writing with voice leading rules, authentic, half & plagal cadences, seventh chords, V7 resolution, transposition, melody writing, vocabulary, ear-training, and review test. 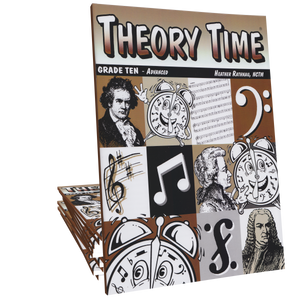 Concepts include: Rhythm drill, simple, compound & irregular meter, conducting patterns, major, minor, diminished & augmented intervals, triads, & inversions, chromatic & diatonic half steps, scale degree names, major/minor circle of 5ths, relative & parallel keys, major & minor scales, chromatic, whole tone & diatonic scales, 4-part writing with voice leading rules, authentic, half & plagal cadences, seventh chords, V7 resolution, transposition, melody writing, vocabulary, ear-training, review test.